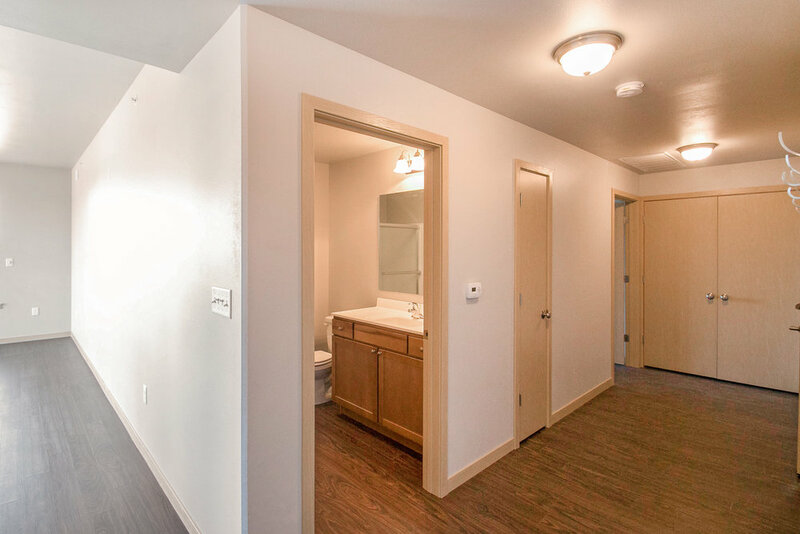 The 808 D is a 2 bedroom, 2 bathroom apartment designed with two spacious bedrooms, a full kitchen, a living room with dual wall exterior exposure and fireplace that opens onto an oversized grill friendly balcony. Each 808 D is designed and built to meet the 808 on 5th standards of quality and comfort to fully accommodate the needs of a small family with 1-2 children or two people/couples wanting to share a living space. The 808 D features two large bedrooms each with their own accompanying bathroom. Featuring a Master Bedroom at around 190 square feet and a second bedroom of about 100 square feet the 808 D is ideal for a small family. Each bedroom has a closet for additional storage and plenty of space for a queen sized bed and bedroom furniture. One of the great benefits of the 808 D is that it has dual wall exposure in the Kitchen and Great Room. This allows for your living space to be lit by natural light and for some great views with fresh air coming in through the windows. To top it off you can cozy up by a natural gas fireplace in the fall and winter. 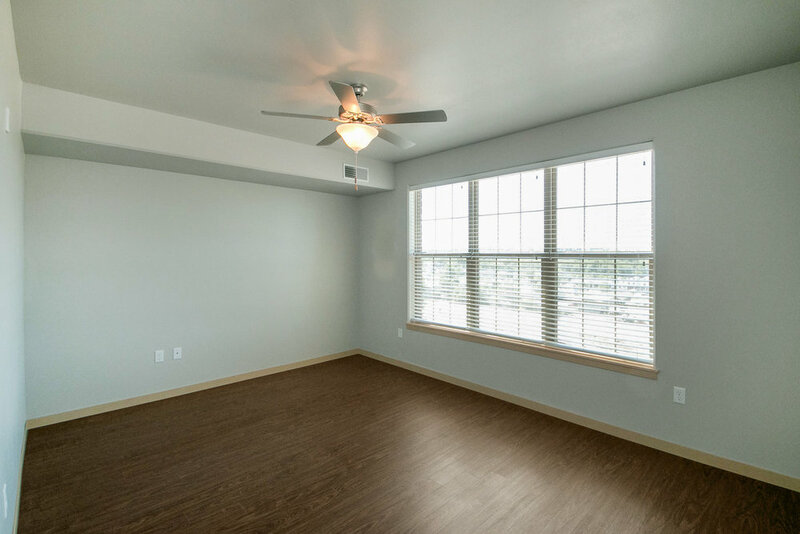 Each 808 D has a Great Room that opens onto a large 12" x 6'0" balcony through sliding glass doors. Balconies are grill ready and equipped with a sprinkler system for safety. Balcony views overlook 5th street below. Bedroom 1: 16'2" x 11'9"
Bedroom 2: 10'4" x 10'0"
Living Room: 17'3" x 11'8"